One of the biggest topics and areas for advancement is single serve sizes. Bigger is not always better, and that is a widespread mentality that is hard to break when it comes to food. So many times a restaurant has been recommended with the comment of “They give you way more food than you can eat! You definitely won’t leave hungry!” Food for thought: would you rather pay less for a small portion and make a difference against food waste, or be overfilled and still have half the plate thrown away? Singles, minis, snacks and bites. Any foods that are single serve are making a difference in the food waste effort. If consumers are eating what is opened, less food is wasted. 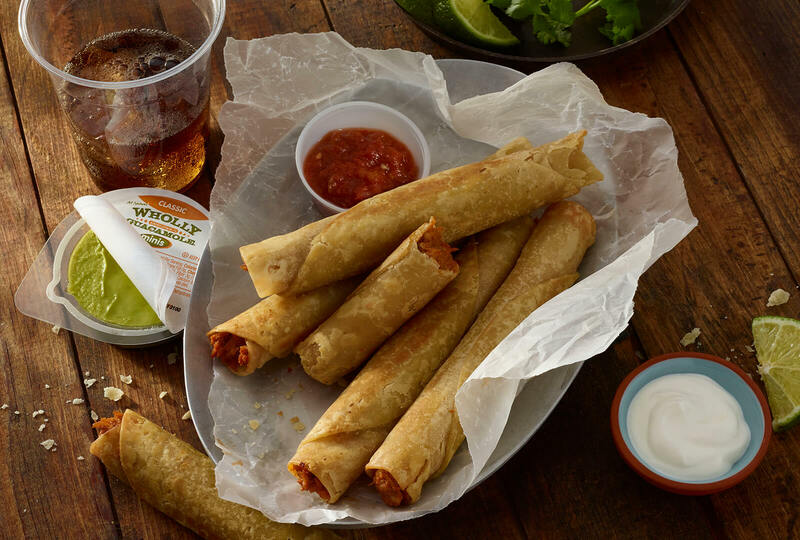 Wholly Guacamole® minis and Hormel® pepperoni snack bites were all designed with this in mind. You’ll also recognize these efforts through the introduction of the snack size ice cream treats at McDonald’s and products like fun size candy bars and to go snack cups. These portion-sized packs are ideal for single-person households, which have increased by 30 percent in recent years. Another angle to look at food waste is through the amount consumers throw away. Feeding America tells us that an astonishing 40 percent of food produced in the United States never gets consumed, but instead gets tossed out; a truly unsettling statistic when you think about how many families throw more food away than the amount some families even get to bring into the house. One way to improve the numbers? Products with a long shelf life. When compared to foods like fresh fruits and vegetables, many shelf-stable products lead to less waste because the consumer has a longer time to use them before they spoil. One of, perhaps, the most logical ways to address food waste is through donations. Companies around the world are increasingly making it a priority to donate to those in need. Hormel Foods alone donated $7.4 million in cash and product donations toward hunger relief efforts, including products donated to food banks and disaster relief efforts in 2016. Hormel Foods is not alone in its substantial initiatives to reduce food waste. The Food Waste Reduction Alliance has set its goals to reduce food waste by half by 2020 based on 2016 levels, increase the amount of food donated, and recycle unavoidable food waste by diverting it from landfills. Campbell Soup Company, ConAgra Foods, Aramark, Darden Restaurants, Del Monte Foods, Kellogg Company, General Mills, McDonald’s, Kroger, Unilever, Walmart and many, many more are supporting these goals and are working toward reducing food waste. These goals are more than numbers in reports, but are real impact that, when achieved across the industry, make a difference in feeding the world. We are all taking on the challenges of food waste in an attempt to shrink environmental footprint and simultaneously reduce hunger in America.